If you haven’t visited London so far, we can tell you that the British metropolis is definitely worth being discovered during summertime. Unfortunately, London has a reputation of being quite an expensive city and a mini-vacation here could easily leave you without your budget. To help you save some money, we have some ideas regarding a few activities that you can do for free in London. The famous Westminster Abbey (where the coronation of England’s royal heads, and also, the royal weddings and funerals take place) is one of the most beautiful Gothic churches in the world. If you want to visit Westminster Abbey you will have to pay about 16 pounds. But what most tourists do not know is that you are allowed entering the venue, free of charge, during the religious services, when tourists cannot take pictures and can no longer walk through the church. Go to the religious services from Monday, Tuesday, Thursday or Friday and you will not regret it. A visit to a London market can certainly be quite entertaining. 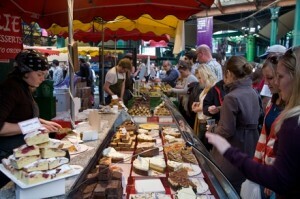 We recommend you to go to Borough Market, a wholesale and retail food market located in Central London. Since the 13th century Borough Market is very frequented by food lovers. 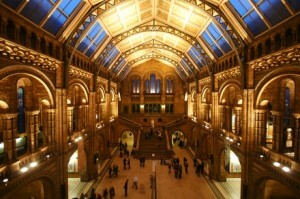 It’s a real attraction situated in the South of Thames and it is open from Thursday to Saturday. You can also visit Portobello Road Market in Notting Hill, Camden Market and Columbia Road Flower Market, where you will find the most beautiful flowers in London and you can make great pictures. The gardens and parks of London are famous all over the world and millions of tourists come every year to photograph them. No wonder it is said that those who created these magical landscapes are some amazing artists. Kensington Gardens and Hyde Park, where you will find the famous Diana Memorial Playground and the Peter Pan Statue. No trip to London is complete without seeing this military tradition. Changing the Guard at Buckingham Palace takes place inside the gates of Buckingham Palace, every day from 11.30 AM. Go there early in the morning, and watch this ‘show’. It’s really worth it!